Kevin, what you’re experiencing is typically referred to as an emotional affair. 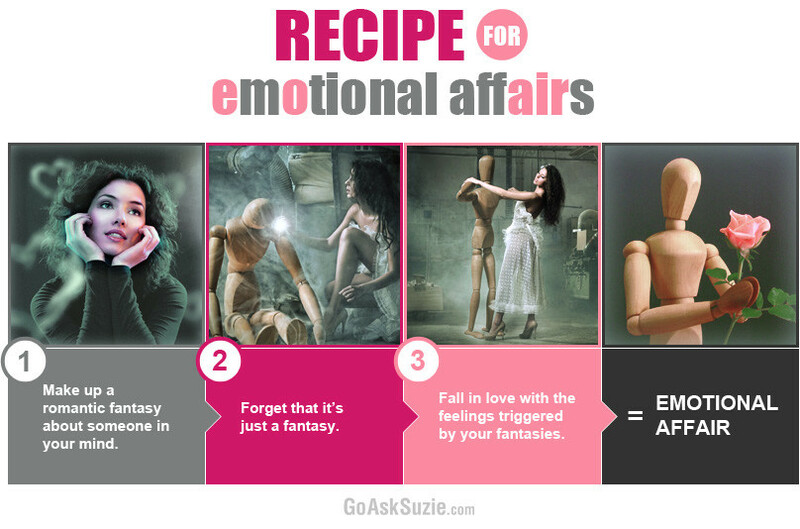 What is an emotional affair? An emotional affair can be described as intense romantic feelings directed toward a person outside your primary relationship. In other words… having an emotional affair is mentally falling in love with the potential (or fantasy) you’ve created about another person. 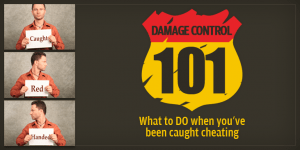 The emotional affair is the most dangerous part of an extramarital affair. It’s because of these powerful emotions that people have such a hard time exiting the affair, and why they’re willing to lie, cheat, and manipulate… to keep it going. The allure of an emotional affair is very subtle. Nobody ever plans to get emotionally involved with the wrong person, and yet it happens to good people every day, everywhere. Like a spider’s web, the seduction is almost always invisible to the one being seduced. By the time you discover your emotions are entangled, you’re already trapped. While emotional affairs are powerful, they’re not permanent. Why? They’re not rooted in reality. They are mind-created romances based on the fantasy of what could be. And it’s exactly because of this reason, why they eventually wane. That’s a great question. I say that because just the fact that you’re asking means you have already started the process of extricating yourself. So to help you understand how to break free faster from this emotional affair, let me share with you a story about the power of a beautiful illusion. When you’re caught up in them, they feel precious like diamonds and gold. But the instant you pull back and really look at them, they disappear. This brings us to the point of the story and what I consider to be the biggest secret to dealing with emotional affairs. My approach to neutralizing an emotional affair is very similar to the approach the wise teacher used in the story. Like the wise teacher, I offer no judgment about whether emotional affairs are right or wrong. That is not my business. I am also not interested in how you came to be in this situation. The only thing I’m concerned with is that you’re now ready to break free from it, and helping people break free from emotional entanglements they don’t want… IS my business. Like that wise teacher, my number one technique in helping you reverse your way out of this entrapment will be self-awareness. Why is self-awareness the number one tool? First you create the fantasy, then you forget that it’s a fantasy, and in that state of forgetfulness, you fall in love with the image you created. 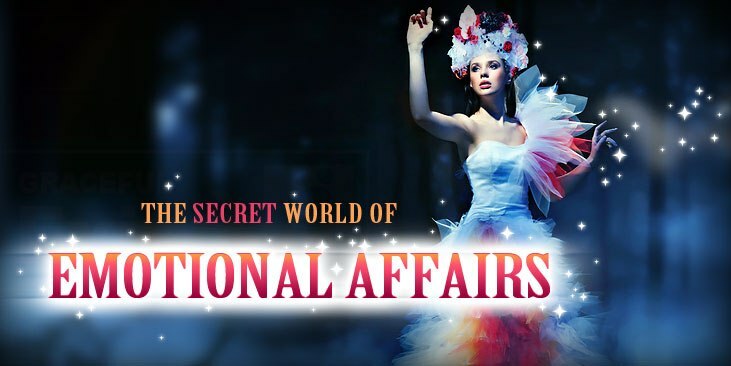 In this mind-created relationship, the affair partner fulfills you… knows you, understands you, connects with you… in ways no one in real life ever has before. And it’s also a reciprocal relationship — you’re able to offer them love, pleasure and affection that THEY have never experienced before either. Did you notice that even reading those words is enough to trigger some of those similar feelings? This is because ALL thoughts are creative. Think sensual, romantic thoughts, and you feel sensual, romantic feelings. Picture yourself swept off your feet, locked in sexual ecstasy with a person who knows your body and soul, and you can feel the chemical counterpart of those thoughts (aka… pleasure). Here’s the challenge… All human beings love to feel good. In other words, we’re hooked on our feelings. This is what happens with emotional affairs: We get hooked on the feelings generated from our own fantasies, and then project the cause of those feelings onto the affair partner. Now that person becomes your treasure as they are perceived as the source of those good feelings. This is why self-awareness is the key. Because when you shine the light of awareness on this situation, here’s what you’ll observe: It’s your own thoughts creating your own feelings. This means nobody outside of you is causing you to feel this way. This recognition neutralizes the glamour of the affair partner (turning them back into an ordinary person once again). Could it really be that simple? Yes, because it is. In fact, many who’ve reached this awareness report having a spontaneous release from their emotional affairs in the instant they were able to see through the veil of their own fantasy. Alas, it doesn’t happen like this for everyone. Some people, even after becoming aware of the illusion of an emotional affair, still find themselves ensnared by it. And when this happens, it’s usually due to some type of confusion. So, coming up next… I’m going to draw your attention to the 5 most common confusions people hold about an emotional affair (that keeps them trapped), and give you some key clarifications that, once understood, will pull you from its clutches.